Little Acorns (Colleton) Pre-school is located in the grounds of the Colleton Primary School, on Colleton Drive in Twyford, Berkshire, RG10 0AX . The Pre-school is registered to care for children aged from 2 to 5 years, between the hours of 8.45am & 5.45 pm in the ABC Building . 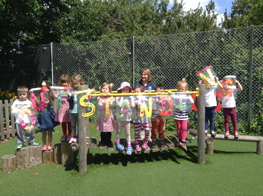 Little Acorns has been awarded the highest grade possible – Outstanding by Ofsted in June 2015 in every area. The Pre-school is also a member of the Pre-School Learning Alliance and has completed their quality assurance scheme – Reflecting on Quality, in June 2016.